Nothing is more annoying than dropping or missing a call because of a weak signal. 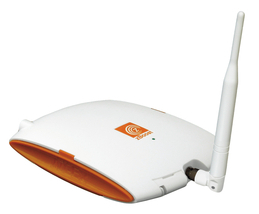 zBoost SOHO cell phone signal booster kit increases signal up to 3000 square feet, making it perfect for your home or office. Priced at $399, yet available and heavily discounted at most e-tailers, the device supports multiple users simultaneously with increased voice and data transmission. Check it out at www.wi-ex.com. Anyone who has ever lost luggage or simply wondered what happens to their bag after leaving it at the check-in counter will want this gadget available at www.trakdot.com. The device, priced at $50, constantly monitors the cellular network to determine its city location. It sleeps while in flight but wakes up and emails your cell phone when it lands. Tuck it into your checked luggage and know immediately if your luggage landed in the same city. It also sends a friendly greeting when you are within 30 feet of your luggage — very handy for finding your black wheeled bag among all the others. There is a small one-time activation fee and an annual service fee. Hate dropped calls or those dreaded dead zones? 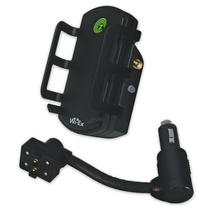 The zForce YX240 signal booster by zBoost captures outside signals and amplifies it on the inside of your car. The result is increased reliability and an improved signal for voice and data and no more dropped calls. The zForce works with your cell phone or smartphone, such as iPhone, Android or BlackBerry. Priced at $99 to $129, the device comes with a cradle for hands-free operation and promises to extend battery life. Check out www.wi-ex.com for more information. Imagine being moments from a huge presentation and needing to clip a loose thread from a suit jacket, scan notes with an emergency flashlight and move your notes onto a backup computer. Now, imagine doing it all with the Victorinox Swiss Army with flash USB. It features all of the tools that you see in the little red classic, including knife blade, scissors and flashlight, plus an integrated 32G flash USB. See everything this little $220 device can do at www.swissarmy.com. This $200 high-tech pen records everything you write and hear then automatically transfers it wirelessly to your tablet, laptop or smartphone. The 4GB smartpen can hold more than 400 hours of audio and thousands of pages of notes. It can also give you the answer to any addition, subtraction, multiplication or division problem you write down. Livescribe smartpens do require the use of special paper printed with a unique pattern of tiny microdots. This tiny pattern acts like a map for the smartpen, allowing it to capture the exact location of everything you write or draw. Learn more at www.livescribe.com. Compact, portable and rechargeable, the HDMI Pocket Projector takes you from business presentations to game time with friends to family movie night. Priced at $300, it connects to most smartphones, tablets, computers, video players, game consoles and digital cameras. It delivers an incredibly sharp, clear image up to 60 inches diagonal on any flat surface. So, those movies you have stored on your smartphone can be viewed by the whole family at once. Find out more at www.brookstone.com.